Duncan Lewis Solicitors are pleased to announce that Family and Childcare Law Director Vanket Appalakondiah has achieved Law Society Advanced Family Child Abduction Panel status. Duncan Lewis Solicitors, the largest Legal Aid firm in UK, are pleased to announce that Family and Childcare Law Director Vanket Appalakondiah has achieved Law Society Advanced Family Child Abduction Panel status. The Law Society Family Law Advanced Accreditation scheme covers specialist areas of Family Law work. Members of the Advanced Accreditation Scheme will have exhibited and maintain a high level of knowledge, skills, experience and practice to a level to the satisfaction of the Law Society, in selected, specialist areas of Family Law. Members of the Advanced Accreditation Scheme will have demonstrated their expertise in two or more areas compromising; children law private; child abduction and wardship; cohabitation; violence in the home; advice in and conduct of ancillary relief; international issues or complex asset cases. More information on the Law Society Family Law Advanced Accreditation Scheme can be found here. Child abduction is a specialist area of Childcare Law bound by strict time scales to comply when dealing with such matters. Child abduction includes ‘national abduction’ and international abduction’. In the event of one parent wanting to remove a child from the jurisdiction and seeks permission from the other parent in writing, the other parent should seek legal advice before consenting to it. Furthermore, once a child is removed from the jurisdiction the aggrieved parent should commence proceedings without delay otherwise the application will not succeed. Law Society Advanced Family Child Abduction Panel Accreditation means an approval by the Law Society or Resolution that a Solicitor has sufficient experience in dealing with child abduction matters. Once accredited a Solicitor can receive referrals from Re-Unite, an organization for International Child Abduction Centre and also from International Child Abduction & Contact Unit of England and Wales. 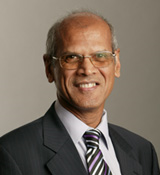 Vanket Appalakondiah joined Duncan Lewis Solicitors in 1999. Vanket is a Director and Head of the Duncna Lewis Family law department and specialises in all areas of Family and Childcare Law. Vanket is based in the firm’s Hackney office. Vanket qualified as a Solicitor in 1996. He specialises in divorces, judicial separation and nullity; complex financial matters relating to the breakdown of a marriage/relationship including high net worth assets; residence/contact disputes including relocation abroad; non-molestation injunctions and occupation orders; cases involving international jurisdiction in both financial and child abduction matters; prenuptials, cohabitation and separation agreements; cohabitation disputes involving property; civil directorship disputes and matrimonial conveyancing. Vanket has dealt with several child abduction matters, and successfully obtained court orders for the return of the children who had been removed from the jurisdiction unlawfully. He has also represented respondents in such applications. In one of the matters, the applicant had instructed another firm of solicitors for the return of her child, but due to the delay the matter was transferred to Vanket, and the referral was made by Reunite. An order was obtained within a short period of time for the return of the child to the applicant mother. Vanket has been a member of the Law Society’s Family Law Panel since 2000 and Advanced Family Law Panel since 2006 and practices in both the High Court and County Courts. He is also a member of Resolution and is fluent the Malay, Tamil and Telugu languages. Duncan Lewis is a leading firm of specialist Family Law and Children Law Solicitors, with expertise in reaching quick resolutions for parents whose children have been abducted by a former partner or other family member(s). Duncan Lewis child abduction Solicitors are a leading UK provider of Legal Aid services with a total of 70 languages between them. Duncan Lewis Solicitors can advise on Family Law and Children Law under both UK Law and Islamic Law. Duncan Lewis, established in 1998, is the largest civil legal aid practice in the UK and one of the country's fastest growing firms of solicitors, serving both corporate entities and private individuals from offices across London and throughout the UK. A recommended leading law firm by Law Society Lexcel, Legal 500; Duncan Lewis employs over 500 members of staff and was the first law firm to achieve the Investors in People Gold Quality Standard Mark in 2009. Representing over 25,000 clients per year, the company has an excellent reputation in the Administrative Court, High Court and Court of Appeal in the Immigration, Public law and Family/Child Care jurisdictions. Established areas of law are: business immigration, child care, civil liberties, clinical negligence, community care, crime and fraud, dispute resolution, debt and insolvency, employment, family and divorce, housing, asylum and immigration, litigation, mental health, personal injury, prison law, professional negligence, public law and administrative law, regulatory matters and welfare benefits.